Here are the top five stories you should be monitoring today. Former President Goodluck Jonathan has said the Peoples Democratic Party will become solid after its national convention on December 9. The Federal Government has amended the charges of spreading injurious falsehood preferred against the senator representing Bauchi Central Senatorial District, Isah Misau. 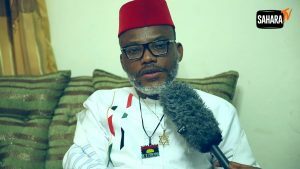 Leader of the proscribed Indigenous People of Biafra, Nnamdi Kanu, has said he is still entitled to $800m compensation for his alleged unlawful arrest and detention in 2015. Chairman of the Peoples Democratic Party (PDP) caretaker committee, Ahmed Makarfi has hinted that he may contest the party’s presidential ticket. Another set of 20 cars purchased for members of the House of Representatives have arrived at the National Assembly. Fisayo Soyombo: Will PDP squander its golden chance to become Nigeria’s ‘necessary evil’?